Observation - Everina prunastri ? - UK and Ireland. Description: I’m not into lichens but I spotted this and it was so beautiful I just had to photograph it. Pity the light was so poor. The ID is pretty much a guess. 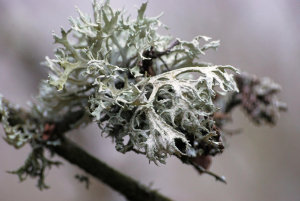 I’m not into lichens but I spotted this and it was so beautiful I just had to photograph it. Pity the light was so poor. The ID is pretty much a guess.